We are currently looking for bloggers to join our staff. We now have bloggers covering Malaysia, Singapore, Britain and Germany, but are looking for bloggers from the other GP destinations. We are also looking for blog ambassadors to help us spread the word and buzz the blog in the social media landscape. 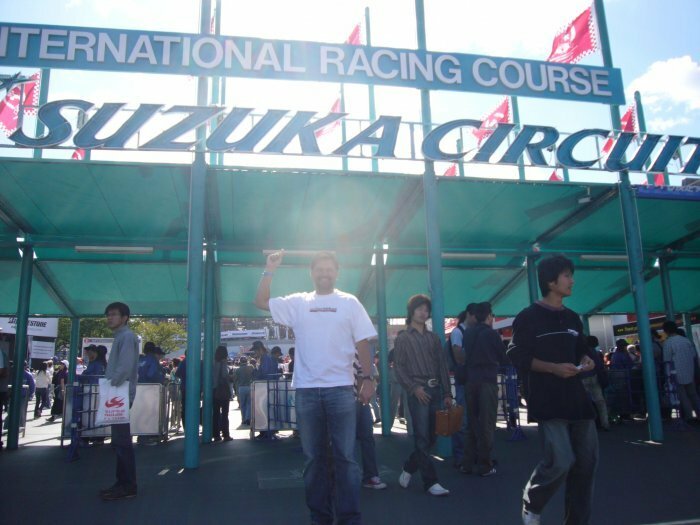 Photo: Me at Suzuka Circuit in 2006. Welcome to GRANDPRIX20.COM, a Formula One blog with focus on social media in the sport and publishing exclusive social media charts and content. My name is Ronnie Rocket (I was named after the New Zealand speedway driver Ronnie Moore) and this is my second Formula One blog. The first one was launched in early 2006 with the main focus on live blogging from the races. This was before the traditional media offered live blogging in their sports sections. The blog was in Danish (I am born in Copenhagen, but currently live in Berlin). This made the audience quite limited. The blog is archived at blog.grandprix.dk here. I decided to rethink the blog concept and relaunch in English on a dot com domain. This is the result. The blog will be ad free (no ad banners, no pop ups, no ad words) and will be 100% free for users. It will introduce “social partnerships” with 20 selected presenting partners, whose financial contributions will be the economic platform for the non profit blog. All proceeds will go to the development and maintenance of the blog. Why is the blog called GRANDPRIX20.COM? The concept was originally conceived as a blog built with and focusing on “Web 2.0” technologies. That was the original reasoning behind the name. The “killer app” of the blog is the Top 20 social media charts, that are not published anywhere else. Also, there are usually 20 grand prix’s in a season. Oh, and there are 20 sections on the the blog! GRANDPRIX20.COM – you are here! What happened at Suzuka in 2006?